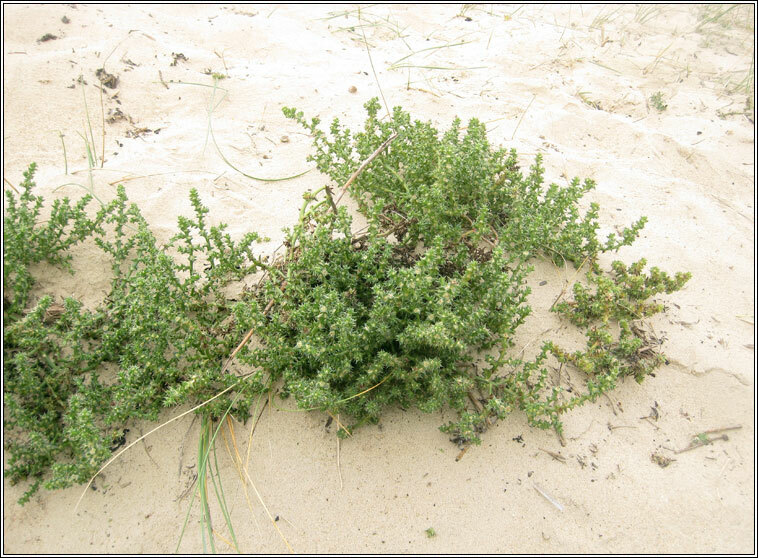 Habitat: Coastal on the drift-line of sandy and shingle beaches. 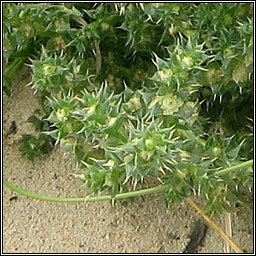 A more/less prostrate, very prickly plant, the tiny flowers with 5 sepals and a pair of bracts borne in the leaf axils. 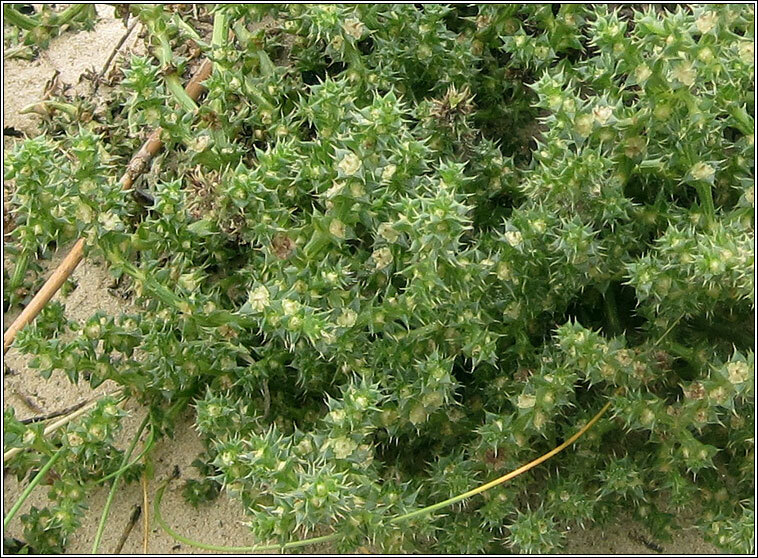 Branched stems with narrow succulent leaves tapering to a sharp spine at the tip.